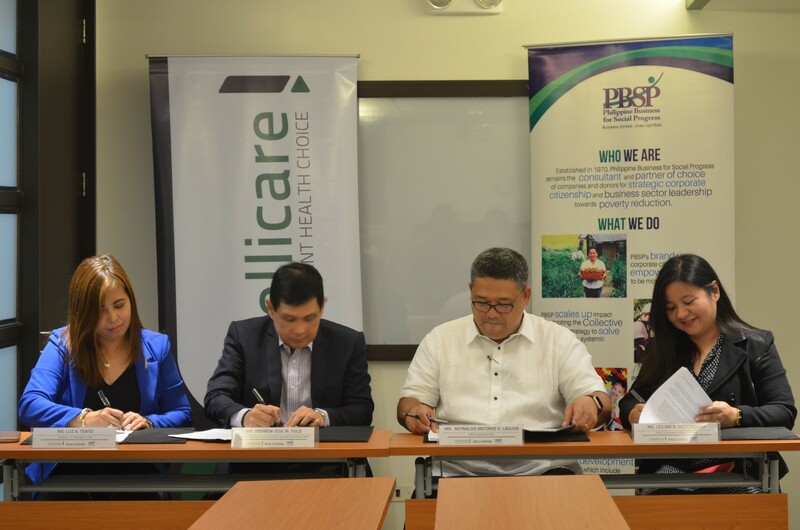 On May 31, 2017, Asalus Corporation (Intellicare) has signed a Memorandum of Agreement with Philippine Business for Social Progress (PBSP) to implement environment projects in the Visayas region. Intellicare representatives Assistant Vice President for Corporate Social Responsibility (CSR) Andrew Jose M. Yulo and Senior Manager for CSR Luz A. Teaño were joined by PBSP Executive Director Reynaldo Antonio D. Laguda and PBSP Environment Program Unit Head Lani B. McDonough for the signing. The agreement intends to improve the sustainability of our natural resources, address water insecurity, mitigate the effects of climate change, and at the same time raise awareness and strengthen the communities. Several projects to be carried out in Visayas are: sponsorship of water alliance meeting, watershed and mangrove reforestation, sponsorship of water demand management training, series of technical assistance on septage management, water system installation, and sponsorship of annual water alliance forum.